Although some vehicles do require a premium gas in order to meet or exceed their performance, the Volkswagen Tiguan isn’t one of them. In fact, the Volkswagen Tiguan gas type is regular. Not only does this make things easy on you, but it also saves you money at the pump. Of course, there are other ways to preserve the performance of your Tiguan. Look below for more information! Along with using regular VW gasoline, be sure to follow a recommended maintenance routine. In addition to regular oil changes, you’ll also want to have your tires rotated at regular intervals. Doing this helps improve fuel efficiency, allowing you to travel more miles on less gas. Be sure to have your tires rotated when you bring your vehicle in to have an oil change; this ensures you’re keeping up with scheduled maintenance. To help keep your new Tiguan in good condition, you’ll want to take advantage of the Volkswagen SUV warranty. This allows you to take care of your vehicle for 6 years or 72,000 miles—whichever comes first. Bring your Volkswagen to our certified service center for routine repairs and maintenances while under warranty! 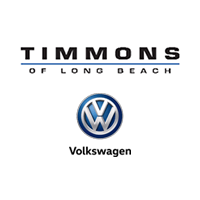 The Volkswagen Tiguan is a great vehicle to bring home, and you can check out lease specials at Timmons Volkswagen of Long Beach, located at 3940 Cherry Ave in Long Beach, CA. Contact us at (855) 832-3136 to find out more about the right VW gasoline and scheduled maintainenace! 0 comment(s) so far on Is Premium Gas Necessary for the VW Tiguan?